Christopher is the kind of person with a plan. Currently a member of DECA, he plans to study marketing at RIT and eventually get into politics. He'll start local, but hopes to work up to senator or maybe even a cabinet position someday. I love his ambition and easy going nature. And also, look at that perfect smile! Rochester City Hall set the perfect background for his session. The marble columns, the flag, and he looked so comfortable in that board room. We also headed outside to enjoy the architecture of the city, and ended up over at the Memorial Art Gallery. 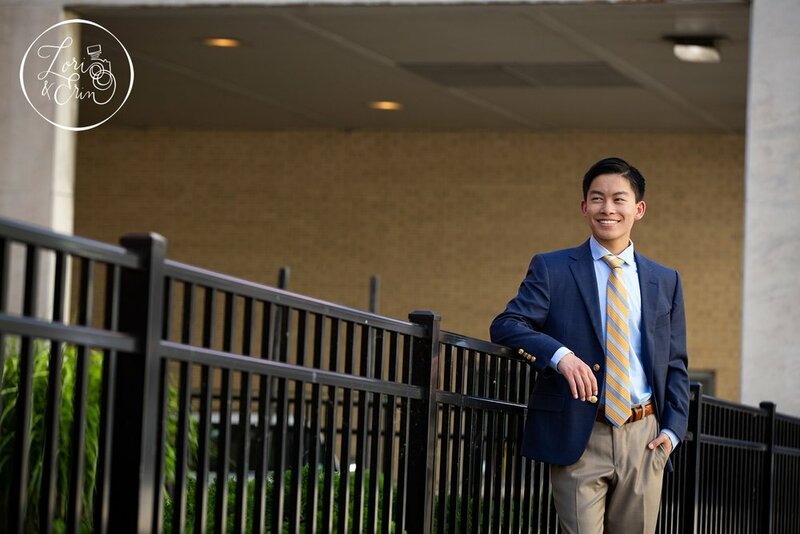 Christopher definitely projects a strong, confident personality, and you'll see that in his senior portraits. Best of luck, Christopher, in all your endeavors! PS: Stick around, his twin sister Elizabeth is next up on the blog!